WINNER ANNOUNCEMENT: Congratulations Sam Hughes! Hello friends! 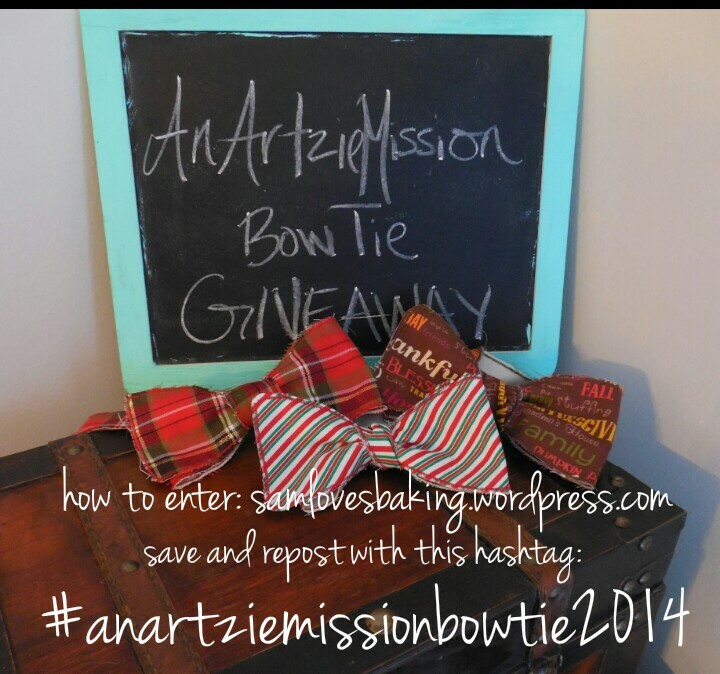 I am excited to announce that I will be posting new items to my etsy page at AnArtzieMission. (So yes, things different than paintings) Aaaand if you read the title of this post you’ve probably already figured out that this new product will be…. BOW TIES! These bow ties are sewn in a nontraditional manner, leaving the edges slightly frayed and giving off a very rustic, relaxed… and dare I say… hipster look. Now, onto the giveaway… because well, WHO DOESN’T LOVE FREE STUFF?! 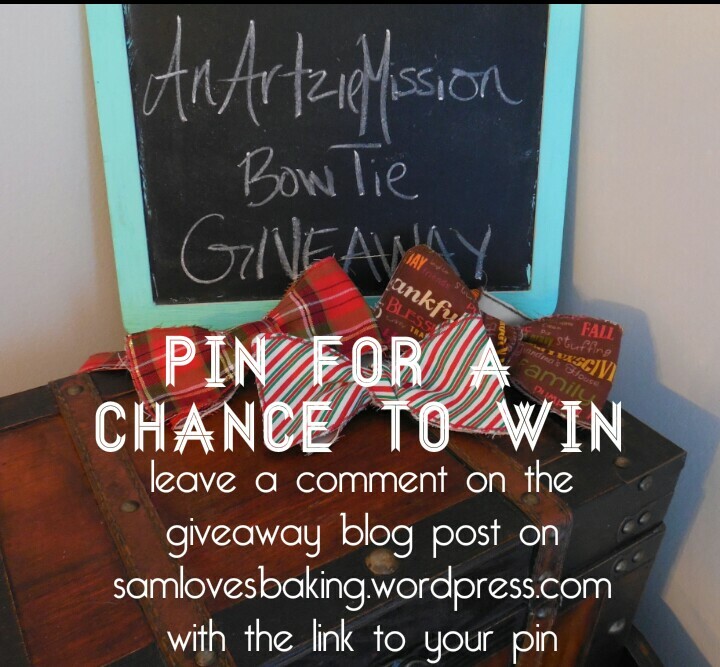 Pin this blog post (or the giveaway picture above with link) on your Pinterest page! Make sure to comment with the link to your pin or I won’t know you entered! Favorite an item on my shop you like best (doesn’t have to be a bow tie) and leave a comment about it here! 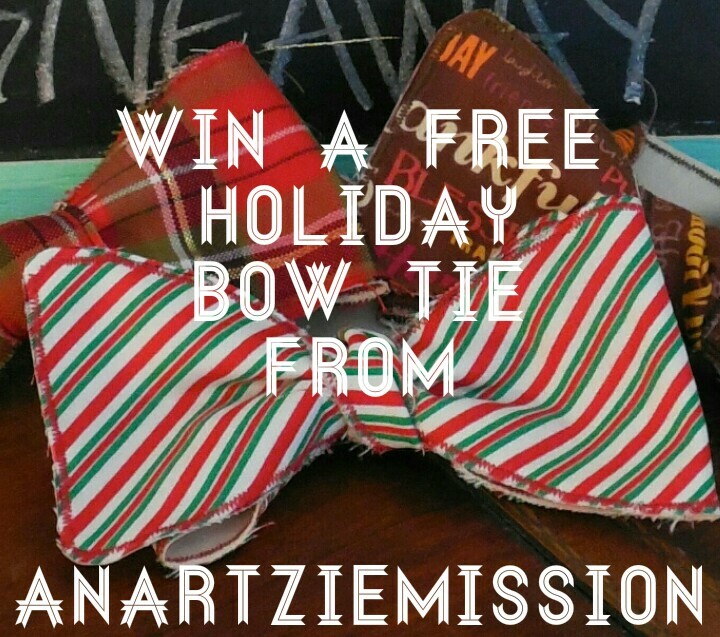 Once the winner has been picked he or she will choose the style and size of their holiday bow tie! Originally posted on my SamLovesBaking blog, but here it is for all you SamLovesCrafting followers! –Check out my very first Giveaway!